This HDS Disk Adapter Module 5529267-A (BED/DKA) is compatible with the controller chassis (DKC) for HDS USP-V systems. If you’re looking add disk adapter modules to your existing USP-V or for a replacement, we have what you need. If you don’t see the part listed that you’re looking for, please use our Contact Us form; as we have many parts in inventory that are not listed. Please note that all HDS parts are used, fully tested and backed by a 60 day warranty. Same day, expedited, and international shipping available! The Hitachi Universal Storage Platform V family, the industry’s highest performing and most scalable storage solution, represents the first implementation of a large-scale, enterprise-class virtualization layer combined with thin provisioning software, delivering virtualization of internal and external storage into one pool. Users realize the consolidation benefits of external storage virtualization with the efficiencies, power, and cooling advantages of thin provisioning in one integrated solution. The Universal Storage Platform V family offers a wide range of storage and data services, including thin provisioning with Hitachi Dynamic Provisioning software, application-centric storage management and logical partitioning, and simplified and unified data replication across heterogeneous storage systems. The Universal Storage Platform V family enables users to deploy applications within a new framework, leverage and add value to current investments, and more closely align IT with business objectives. The back-end director (BED) features with part number 5529248-A (also called Disk Adapter Modules or DKAs) control the transfer of data between the disk drives and cache. The BEDs are installed in pairs for redundancy and performance. The USP V can be configured with up to eight BED pairs, providing up to 64 concurrent data transfers to and from the disk drives. The disk drives are connected to the BED pairs by fibre cables using an arbitrated-loop (FC-AL) topology. Each BED pair has eight independent fibre back-end paths controlled by eight back-end microprocessors. 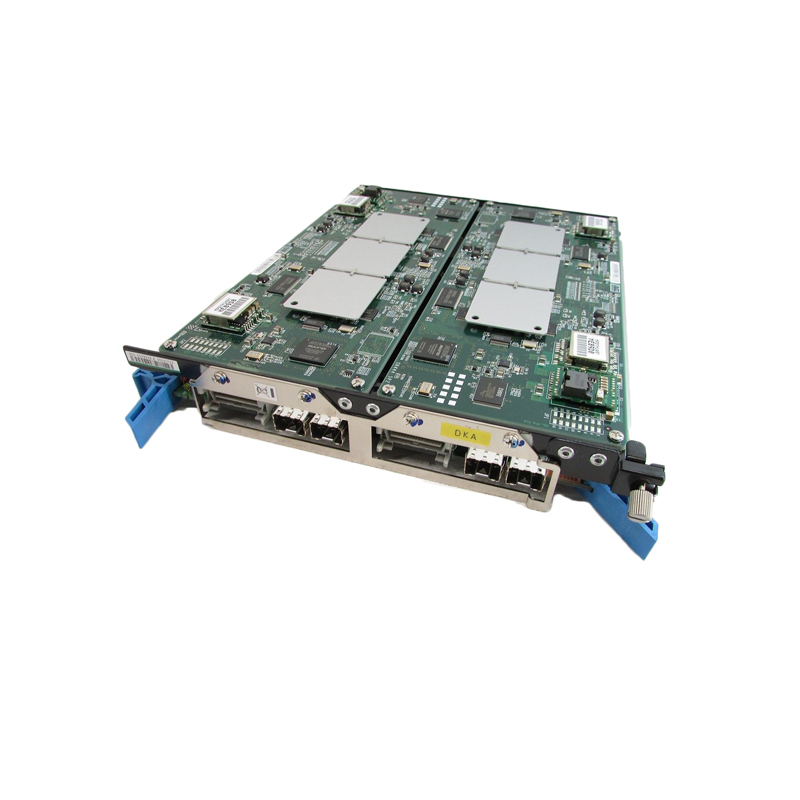 Each dual- ported fibre-channel disk drive is connected through its two ports to each board in a BED pair over separate physical paths for improved performance as well as redundancy.